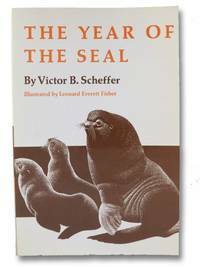 We can help you find the seals books you are looking for. As the world's largest independent marketplace for new, used and rare books, you always get the best in service and value when you buy from Biblio.com, and all of your purchases are backed by our return guarantee. New York: Oxford University Press. 1970. Octavo Size [approx 15.5 x 22.8cm]. Near Fine copy in Very Good dustjacket. Dustjacket is now protected in our purpose-made plastic sleeve. A nice copy. Illustrated with Black and White plates and maps. Endpaper maps. 192 pages A history of the fur and sandalwood traders who sailed the oceans, including the China sea to Canton, in the late 1700s early 1800s. . 1st Edition. Hardback.